Want to lose some weight and improve your fitness? You can’t do that without the right type of diet. Many folks rely on point-based diet systems to lose weight and keep it under control. You will need a tracker if you are on that type of diet. My Score Plus HD for iPad is a cool application that supports both Old Classic and New Watchers systems. My Score Plus HD has a simple user interface but does a decent job tracking your posts. 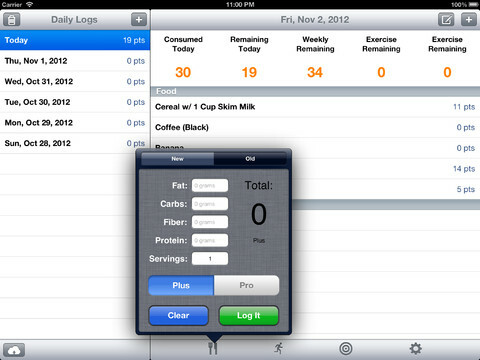 It also has an activity calculator for your diet system. 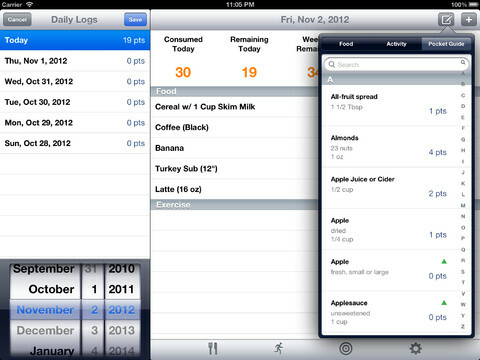 You will be able to keep track of your favorite foods and activities in this app easily. Data can be backed up to Dropbox. You won’t even need a WiFi to be able to use this app. The Daily Target calculator and Health Checks tracker is a plus. My Score Plus HD is easy to use and can be a time-saver. It could prove useful for those of you who are on a point-based diet.